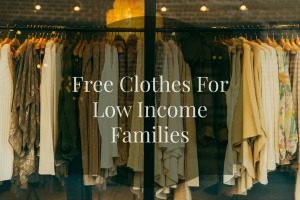 I wish for this list of free clothes for low income families I have compiled, helps you in your time of need. I understand times are tough and sometimes even the basic necessities such as clothing for work, school, prom and even everyday wear can be difficult to afford. I know personally there have been times where I could not even afford to shop at the thrift store, because of hardships in my life, I then became aware of several resources available to people with a low income. Below is a list of clothing resources I have found and wanted to share. If you know of any clothing resources you think I should add please contact me and I will be sure to add the information. The Pajama Project If you you have children ages newborn to 18 who live in group homes, shelters and temporary housing click here to find a Pajama Program near you. Operation Warm offer coats and clothing for kids with families that cannot afford them in In 49 states and the District of Columbia. Car2Kids.org This program connect families who want to donate essential items & other things their kids have outgrown directly to families in need. More kids free clothing programs listed below by state. Career Gear – A national nonprofit organization offering interview clothing and job counseling to men in need. Dress For Success – Non-profit organization that provides interview suits, confidence boosts, and career development to low-income women in over 75 cities worldwide. FREE Prom Dresses For Low Income Families. This is a bigger list I have made. Be sure to check it out. This is a new list I started and would love for anyone who has more clothing resource information for other states to share with me so I can add them below to help my readers. I hope to have all states listed eventually. MORE For a larger list of clothing resources in the Connecticut area visit Connecticut.networkofcare.org. Care For The Children is a Clothing Distribution Voucher Program (CDVP). This program is a partnerships between Care For The Children, various Clothing Manufacturers and Distributors, and local Community Based Organizations (CBO). Click here care4thechildren.org for more information and how to sign up. Shawnee Community Services Address: 11110 W 67th St Shawnee, KS 66203 Phone – (913) 268-7746. Offers Free clothes, shoes and food. Central Avenue Center Of Hope Address: 11 N. 15th Street Kansas City, KS 66102 Phone – (913) 233-2511 They may have free or low cost blankets, clothing, personal items, winter coats, and food for low income or homeless. Catholic Charities – Kansas City Location Address: 2220 Central Avenue Kansas City, Kansas 66102 Phone – (913) 621-3445 Offers Free clothing, food, Christmas meals and gifts, and more. Ask about basic needs such as energy expenses, they may or may not have funds. Blessings Abound Thrift Shop Address: 9620 Nall Ave. Overland Park, KS 66207 Phone – (913) 648-0700 Offers low cost furniture and other items are to low income families. Low cost clothing, furniture and household goods. Good Shepherd Thrift Shop and Food Bank Address: 304 E. 4th Street Tonganoxie, Kansas 66086 Phone – (913) 845-3964 The goal is to assist people with food, clothing, utilities, rent and miscellaneous housewares. 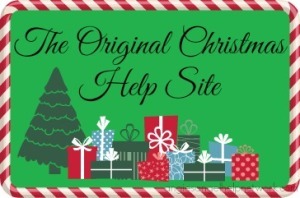 MORE helpful resources for families in need in the Michigan area on Julies List julieslist.homestead.com. She has compiled a list of resources for adoption, dental, medial, clothing, disability. employment training, financial assistance, food programs and more. Meet The Need Assistance Center Address: 1302 N. Jesse James Road Excelsior Springs, MO 64024 Phone – (816) 630-5221 Offers clothing, hygiene items, household goods, food, work clothing, suits and even fuel assistance to families and individuals in need that are currently employed but are just struggling. Samaritan Center Main Address: 1317 S. 2nd St. Clinton, MO 64735 Phone – (660) 885-8555 Offers free food to the citizens of Henry County Missouri. Clothes and vouchers are also offered from a thrift shop. Good Samaritan Center Address: 108 S Thompson Excelsior Springs – Clay County, MO 64024 Phone – (816) 630-2718 Offers free food, help with utilities, clothing, transportation and health care. Limited furniture is available. Clothes for work or school may be distributed to students and children. Birchwood Mission Center Clothes Closet Address: 3884 Blue Ridge Blvd Independence, MO (Jackson), 64052 Phone – (816) 353-4445 Offers coats, clothes, shoes, linens, and a blanket for families in need that live in the region. Community Services League Address: 1001 Sibley Road Buckner, MO 64016 Phone – (816) 249-5820 There is also one in Fairmount Address: 800 S. Hardy, Independence, Phone – (816) 254-0446. And a few more. Address: 207 West Walnut Street, Grain Valley, Missouri 64029, Phone – (816) 355-0328, Address: 404 N. Noland Road, Independence, MO (Jackson County), 64050, Phone – (816) 254-4100, Address: 1408 SE Austin Street, Oak Grove, Missouri 64075, Phone – (816) 690-8213. These 5 locations may have Christmas/holiday or help with coats/blankets and employment assistance. Food, housing counseling and other aid, such as prescriptions. This is a non-profit and they do run out of resources, please be patient. Immanuel Baptist Church Main Address: 112 W. 23rd St. Independence, MO 64055 Phone – (816) 254-9579 Offers clothing and basic supplies to residents of Independence, MO. Saint Mary’s Outreach Address: 600 N. Liberty Independence, MO 64050 Phone – (816) 252-8649 Emergency assistance is offered from the church. They may provide clothing, food and possibly help with some bills, prescription assistance, and more. Beaverton Family Resource Center – Children’s clothing and diapers provided through Northwest Children’s Outreach. Parenting classes and referrals for energy assistance available. Serving Beaverton area primarily, call in advance. There are plenty of organizations in the New York City area that offer free clothing for interview clothes for children, jackets and more. Supplies are limited, so always call before you go. Part Of The Solution, Inc.
295 St. Ann’s Ave., 140th St. This church will usually have a bin of clothing, and people can help themselves to what they need. Address – 326 E. 150th St.
A number of social services, clothing, and other aid is offered to clients who have a referral. Winter coats for children, meals, food boxes, and shoes/boots are just some of the services that are offered. The charity will also have limited amounts of financial assistance for rental or utility bill needs. St. John’s Lutheran Church is located at 1343 Fulton Ave. between 169 and 170 St. This religious center will usually require the client to have a referral letter, which is usually obtained from a social or human service office. Offers men, women, and casual clothing. May have uniforms and professional work attire. Will have referrals, guidance, and basic supplies. This can include personal hygiene, clothing for children and adults, and maybe even a meal. This location sells items to the general public. 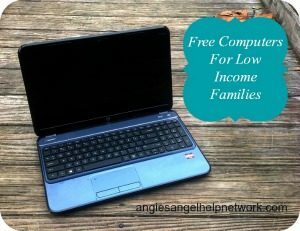 Offers assistance to low income families and the homeless. Programs include job training and domestic violence shelters, book, backpacks and other free school supplies. Location – 22 Quincy St. The corps center has a clothing closet and thrift store. Other services include a food pantry, limited financial help for energy bills, holiday meals, and aid for low income families and seniors. In order to receive clothing, school items, or other support a referral is required. Location – 150 Amsterdam Ave.
Case workers and staff provide a comprehensive continuum of care. The center provides food, clothing and shelter. Other self-sufficiency offered is education, vocational training, legal assistance, and transitional and permanent housing. Helps teens become self reliant, healthy adults, and may also have baby clothing for them. Free professional clothes, such as skirts, suits, ties, and dress shirts are available if you have a referral. Other items are also located on site, such as shoes, socks, and standard attire. Call (212) 645-0875 for information. May have personal toiletry items. The clothing closet in only open on Tuesday and Wednesday. CHIPS Park Slope Christian Help, Inc.
May have food, free school supplies, holiday programs such as the Angel Tree, and cash assistance for bills, rent, and medications. Sells items to the general public. Similar to most Salvation Army centers. Has an on site food pantry, thrift store, and may even be able to deliver meals or household supplies to the homebound. Free toys and gifts may be offered to children around Christmas. Or get information on government aid such as HEAP. Call the center at (212) 226-6214 for intake. Meals, clothing, and more is offered for the homeless and very low income. The charity can also arrange shelter and short term transitional housing. The NYC Rescue Mission is the oldest location in the nation. It offers services such as spiritual hope, clothing, bedding, furniture, food and shelter. There are several offices in the various boroughs. 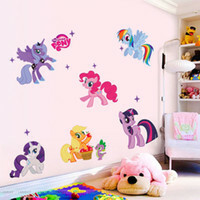 Has clothing for children, babies, seniors, and women. A written referral is not needed, except if you need professional work clothes or uniforms. May sell gently used items such as couches, clothing, or household supplies, such as baby items. 60th St. and Columbus Ave. Clothing, shirts, shoes, and more is offered for children, women, and children. Main address is 335 W. 51st St. Note this charity only offers a soup kitchen and food pantry. They no longer have clothes, but there may be referrals. May have casual outerwear. Only operates during the winter, so they may have coats, boots, blankets, and more. 106-07 Guy R. Brewer Blvd. Limited hours are Monday and Thursday, 11 am to 3 pm. Call for referrals, work uniforms, supplies, or clothes for your family. Donations and contributions are always welcome. Relies heavily on donations. It can provide children with winter coats or books, the homeless with a hot meal, and even has information on local job training programs. Assistance is offered for the homeless, unemployed, and people who are really struggling. The church provides an array of support services to the low income and those in need. Resources include a Crisis Center, free professional and emergency clothing, emergency food and a soup kitchen, a shelter for men, emergency food pantry, advocacy, training and intervention. Other items, while more limited, may be beds, household goods, bedding and linens, clothes, and equipment. Call (212) 316-7540. The charity distributes donations of new or gently used baby clothes, products, or gear to nonprofit community partners. Those agencies then distribute the items directly to low-income and homeless families in the greater New York region. The center delivers free, used household items and furniture to families who have come out of a shelter. Economically disadvantaged and unemployed New York City women can get professional work or interview clothing. Job-preparedness training is also offered. This non-profit works with local churches, shelter, soup kitchens and charities. They distribute new clothes and merchandise to these organizations, when then distribute the items to the needy. The focus is on women who are looking for a job. The charity provides interview suits, confidence boosts and career development skills. Men can receive interview clothing, motivation and follow-up , as well as free job training, resume review, and other aid. The center offers music instruction and maybe even instruments to underprivileged children and adults. Main address – 743 E 9th St. Supports AIDs patients in the boroughs. The center will distribute donations of clothing, shoes, jewelry , accessories, basic art and furniture. May have some basic needs for the homeless, such as socks, underwear, toothbrushes, soap, hygiene kits. Will also work with them in finding shelter and permanent housing. Working Men’s Closet – Free professional clothing to prepare for an interview or work. Referral is needed from your pastor, Social Services, case manager. Clothing donations also accepted: clean, pressed, gently used pants, dress shirts, golf shirts, ties, belts, suits & jackets. Located at at Anchor Thrift Store 123 Battlefield Blvd. (near the locks) Chesapeake, VA 23320. Women Giving Back offers free clothing to families in Northern Virginia. 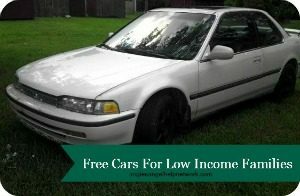 Craigs List – find your area then click on free and you can get a lot of free items you may need. 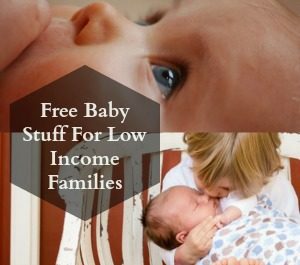 Freecycle – share clothing , formula , baby food , food in general , furniture, books , dishes , cameras , computer accessories , and so so much more. ©Angela Harris and Angie’s Angel Help Network, 2013. Unauthorized use and/or duplication of this material without express and written permission from this blog’s author and/or owner is strictly prohibited. 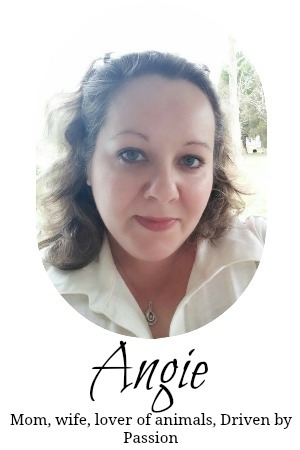 Excerpts and links may be used with written permission from this blog’s author, provided that full and clear credit is given to Angela Harris and Angie’s Angel Help Network with appropriate and specific direction to the original content. Hello…My name is nicole and i really need clothes for my daughters. the clothes she has are small for her. but i don’t know what to do anymore. The water company shut me off so now i do not have water also my gas bill is very high and i know they will be shutting us off soon. It me, my fiance, my 9 year old daughter, and my fiance 15 year old daughter. if you could help me or point me in the right directions that would be awesome….. Thank you and I hope to hear from you soon…. Hey Nicole, were you able to find what you needed for your daughters? Looking for help with clothing for myself and my children. Any help would mean the work to us, haven’t had any luck. Hi my name is David I am very Ill and I need a winter coat and some clothes. If you can help me please please do. I am in New York City on the UES. Please help! My 9yo son needs new school clothes. Where can I go and get help? Im currently homeless and need help. I live in Waterbury,CT. Hi ! My name is Fatima my daughter has a friend that is in desperate need of clothes she is 15 has a twin brother and they lived in a trasitional home but could not afford and the mother went back to jail in another state to serve the rest of her sentence. They are staying with her 20 year old sister but she does not make much. Please ! need help to get them clothes. I live in kissimmee fl also new in fl and really I can’t afford to help either, I’m looking for a job. I want to help. H imy name is Yvonne I have 3 kids 6m 3,11 I need help with clothing and a baby swing? I am 42 years old and recently unemployed after 11 years. I live in a 2 bedroom apartment. My 21 year old daughter and 9 month grandson just had to move in with my 12 year old daughter and 15 year old son. Things are truly difficult. I was told today I had until tomorrow to pay 1300 or they will be here Monday to move our things. I haven’t been able to do school clothes at all this year. My daughter is wearing my sneakers to school. Heartbreaking. So much red tape trying to get assistance. I’ve been told I didn’t qualify. Someone please help! Hi I’m a single mom of Irish triplets almost 6 yr old b/g twins and almost 5 yr old girl. They have grown out of their clothes so quickly. My son wears size 7/8 boy clothes and size 1 shoes. My daughters wear sizes 9/10 girls shirts and 10/12 girls pants. I could also personally use a real winter jacket (as I have a sweat shirt hoodie now) professional dress shoes black flats size 10.5 w or 11’s. I’m also trying to locate if there are agencies that assist with vehicle type booster seats. Thank you. I am a 50 yr of mom with a 12 yr old boy. All I’m asking for is winter shoes this yr. Please help us get them. I am a mother of 3 and right now is the hardest time of the year for me. Back to school. I have a 13 year old who wants all special clothes. My youngest two will wear anything..does anyone know of any places in New Jersey that help with clothing for kids. I never thought that I would be asking for help but things have gotten so overwhelming with my health lately and tons added on that. I’m a 52 year old female on disability that just doesn’t cover bills let alone necessities. My car has broke down 3 times in the last month and a half and now sitting broke down again. In need of clothing and shoes my list could go on but I won’t do that. If anyone has any ideas I would be eternally grate full. I can’t even get to thrift store let alone afford that. Thank you in advance. I am a single fathet of an 11 year old w behavioral problems, ADHD, bipolar, defiant disorder and posible Aspbergers. I am unemployed right now. Please I need help w new clothing and shoes and supplies for this school year. Are there any agencies, department stores w open bag or slightly imperfected clothing they could donate to help me out in this dire situation.my son is just like any other child and would like to fit in without being made fun of.. i beg you is there anyone that can help without jumping through hoops???? Hi I’m a single parent and I was wondering how do you get free baby clothes . Was wondering if you have any information on clothes for low income school kids in the Abilene Texas area. Here is a list of clothing banks for Abilene https://www.google.com/webhp?sourceid=chrome-instant&ion=1&espv=2&ie=UTF-8#q=+Abilene+Texas++clothing+banks. Also call and talk to only the counselor at your child’s school they should have resources as well. Hi my name is Stephanie I have two sons who are 9&6 for whom I need clothes for badly. Do you know where I could get some help? Hi my name is Xena and I am 17 and I really need clothes bad so I was wondering what I have to do to get Clothes. ?